A promising new metal alloy system could lead to commercially viable magnetic refrigerants and environmentally friendly cooling technologies, according to a scientist at Rochester Institute of Technology. Casey Miller, head of RIT’s materials science and engineering program, and his colleagues published their findings in the Oct. 28 issue of Scientific Reports, an online open-access journal from the publishers of Nature. Miller’s work in this area also led to an international collaboration that published in Applied Physics Letters on Oct. 6, and which was selected as an Editor’s Pick, making it free to any reader. The study published in Scientific Reports explores an iron-based alloy as a component of next-generation cooling technologies. The materials use magnetic fields to change a refrigerant’s temperature without the coolant gases associated with global warming. The thermodynamic phenomenon, called “magnetocaloric effect,” makes magnetic refrigeration an environmentally friendly and efficient alternative to current cooling technologies. The alloy is a substitute for metals made from rare-earth elements, predominantly produced in China and increasingly used in modern magnets. The supply and cost of rare-earth metals are susceptible to geopolitical tensions that hamper the commercial viability of new magnetic refrigeration technologies, the authors reported. Transition metals typically offer supply chain stability and are cheaper by weight than rare-earths, they said. 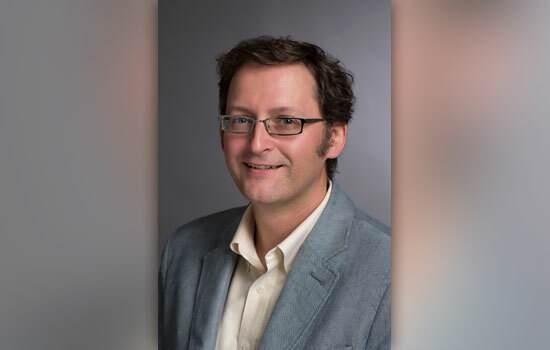 Miller and his colleagues investigated the family of metal compounds known as “high entropy alloys.” This class of emergent materials holds potential for advanced manufacturing and possess hardness and resistance to wear and corrosion, the authors found. Miller’s work is supported by the National Science Foundation’s CAREER Award. His research team on this project is a broad collaboration between RIT, the Air Force Research Laboratory, the Max Planck Institute in Germany and the Delft University of Technology in the Netherlands.